The Variety section of Friday’s Star Tribune was filled with “best of” lists –night life, quotes, albums, live acts, songs. The only mention of anything jazz-related was in the article, “No. 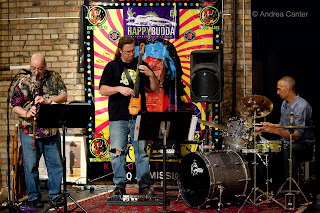 1 Sign the Local Music Scene Was Alive and Well in 2011,” which provided responses from 9 panelists of the Twin Cities Critics Tally and, not surprising, included only one jazz comment -- from local blogger/jazz calendar maven Pamela Espeland. With the exception of Jon Bream, who on occasion covers something jazzy, Pamela was the only member of the entire panel with any clear interest in jazz. KBEM radio. 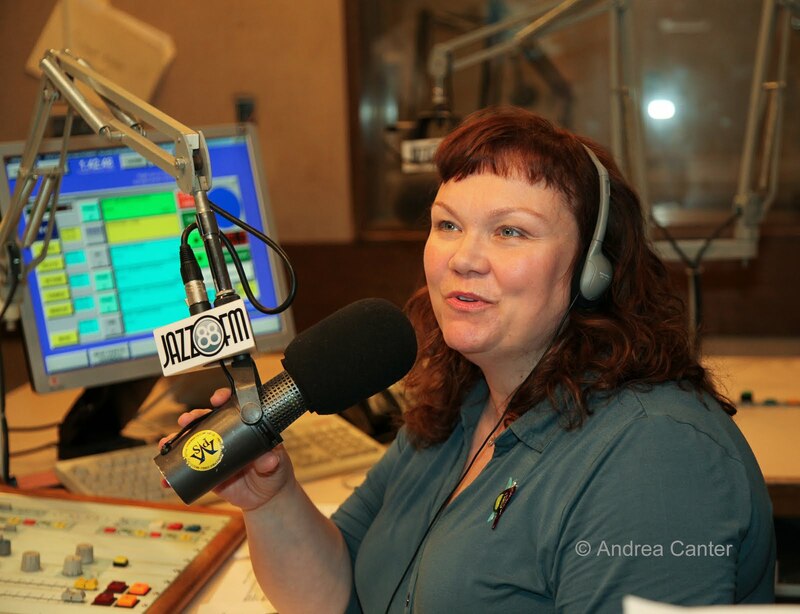 After celebrating 40 years on the air in fall 2010, Jazz88 continued its jam-packed daily programming from trad to rad, giving more students opportunities to learn about the music as well as broadcasting skills, adding new programs like Patty Peterson’s Playroom and expanding Maryann Sullivan’s Corner Jazz to include the Local Corner. Further, Jazz 88 has continued its REEL Jazz film screenings, seasonal jazz cruises, and Jazz After Work. And I am looking forward to the 2012 return of South High (and now Southwest) students running their own show, as well as broadcasts of St Paul Live. 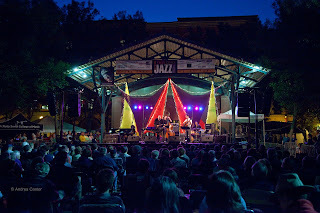 Twin Cities Jazz Festival. After nearly going under a few years ago, the festival is fast becoming one of the top jazz events in the Midwest, growing in attendance, gigs and enthusiasm each year since settling into Lowertown for one long weekend in June. Hats off to Steve Heckler and his crew for bringing in acts like Gary Burton and Danilo Perez, showing off local talents, presenting workshops, and doing it all as a free public event. At least for a few days and nights, everyone’s a jazz fan. Bonus in 2011--Downbeat Magazine was on hand to not only cover the story of Gary Burton, but the story of the festival (published in October). Artists Quarter. Credit owner Kenny Horst with survival as the only club venue in town presenting jazz full time. A haven for local musicians and serious listeners, Kenny offers lots of bop and bang for the buck (usually $5 weeknights and $10-$15 weekends). In the past year, he brought in more national artists, like Eddie Gomez, Christian Howes, Eric Alexander, Jon Weber and more. And of course there are our locally-based musicians with national reputations! Jazz Central. Underground clubs and house parties are making a comeback, even in the Twin Cities, and Jazz Central leads the way. Tanner Taylor and Mac Santiago turned an old recording studio in Northeast Minneapolis into a performance space/teaching and recording studio, “for the cats, by the cats.” Surviving on donations and rentals, they offer Monday night gigs and jams and sometimes more during the week, but the mission is to give musicians a place to play without being confined by concerns for filling the house or playing to a common denominator of musical tastes—here they can stretch out, experiment, and work in combinations that are simply unlikely bookings. Dakota Jazz Club. Some may view the expanded music schedule (covering pop, rock, blues, and more) as a contra-indicator of jazz health. Ideally, the Dakota Jazz Club would still be offering “jazz” seven nights per week and making a profit doing it. This concept is becoming an oxymoran in jazz worldwide. Lowell Pickett continues to bring in top names in the national jazz scene more often than any other local venue and at prices that are still competitive with clubs in other major cities. And the Dakota continues to be one of the classiest settings to hear music of any kind. Best of all, it’s still open. Maybe someone who enjoyed Little Anthony and the Imperials will come back to hear Kenny Werner and Toots Thielemans (March 20th)? Maybe. Young Artists and Jazz Education. Opportunities for students to learn and perform are growing, within our public and private schools (including MacPhail, McNally Smith, Walker West) and within the arts community. 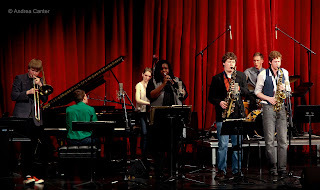 From the student broadcasters at KBEM to those in the elite community ensembles like the Dakota Combo, Minnesota Youth Jazz Band, and Walker West, the array of talent coming up through the ranks is impressive. In the past year, the Dakota Combo was selected to participate in the annual Charles Mingus High School Festival and Competition in New York, and MYJB toured Europe, including a performance at the famed Montreux Jazz Festival. My friend Joan Delich also reminded me that the St Olaf Jazz Ensemble, directed by Dave Hagedorn, was named Top Large Jazz Ensemble in the college division of the Downbeat Student Awards. And young artists have been welcomed to the stage at the Artists Quarter (including the TCJS Young Artists Series), Dakota, area jazz festivals (TCJF, Dakota Street Fest, Burnsville Art and All That Jazz) and more. A new opportunity launching in 2011 was the PipJazz Sundays concert series at Landmark Center, where each concert (as of November) features a student guest who rehearses and performs with the house band. Learning opportunities outside of the schools have also grown, with public clinics during the Twin Cities Jazz Festival, at Walker West, and through Zacc Harris’s Jazz at Studio Z series, which includes open rehearsals on the afternoon of each gig. The Dakota Foundation for Jazz Education received an MRAC grant to bring jazz artists into schools for intensive learning experiences. Perhaps one of the best examples of the growth of opportunities for young musicians was last night’s line-up at the Black Dog Café. On stage for the Community Pool/Deep End new music series was a band simple labeled Ikeda/Smith/Wildenauer. Alden Ikeda and Joe Smith are seasoned veterans on the local scene. Sam Wildenauer is a 17-year-old bassist at South High. Yeah, that’s the way it used to be. Local recordings. It was a good year for local jazz artists, with excellent releases from Bryan Nichols (Bright Places), Atlantis Quartet (Lines in the Sand), Mary Louise Knutson (In the Bubble), Doug Haining (Last Many Swinging), Joel Shapira Quartet (Open Lines), Charmin and Shapira (Dawning and Daylight), the Jerry O’Hagan Orchestra with Charmin Michelle (Dance Party Volume 1), Prudence Johnson (A Girl Named Vincent), Paula Lammers (Deep Purple Dreams), Red Planet (Space Dust) and the late Christine Rosholt’s tragically final jazz/pop hybrid (Pazz). And let’s count the Dave King Trucking Company (Good Old Light), since nearly all members of the band are based here. Big gigs: The brightest stars on the national and international jazz scene came to Twin Cities venues this year, including the Bad Plus performing their arrangement of the Rite of Spring at the Loring and their 12th annual holiday weekend at the Dakota; Joe Lovano’s Us Five visiting twice (at the Dakota and at the Hopkins Center for the Arts); Branford Marsalis and Terence Blanchard, and Herbie Hancock (solo) at Orchestra Hall; Gary Burton and Danilo Perez at the TC Jazz Festival; Mike Stern with the JazzMN Orchestra at the Hopkins Performing Arts Center; Theo Bleckmann at Macalester; Ramsey Lewis, Roy Hargrove, “Four Generations of Miles,” Michel LeGrand, Arturo Sandoval, Roberta Gambarini, Jane Monheit, Karrin Allyson, Ben Sidran, Stanley Clarke, James Farm, John Scofield at the Dakota; Eric Alexander, Eddie Gomez and Christian Howes at the Artists Quarter. New venues for jazz. Pamela noted in the Strib that “when one venue closes, others open or make room for jazz.” The Clown Lounge closed; Café Maude put music on hold for couple months; and the Loring Theater has closed as of today. But now we have Nicollet Coffee with jazz at least weekly, a revived Nomad World Pub Jazz series, the new series at Studio Z, expanded jazz at the Black Dog (e.g., first Tuesdays with Dean Magraw and Davu Seru and Community Pool/Deep end on alternating Fridays), and the return of the Benny Weinbeck Trio at D’Amico Kitchen. And it seems more and more restaurants and bars are presenting jazz at least a few nights each month. 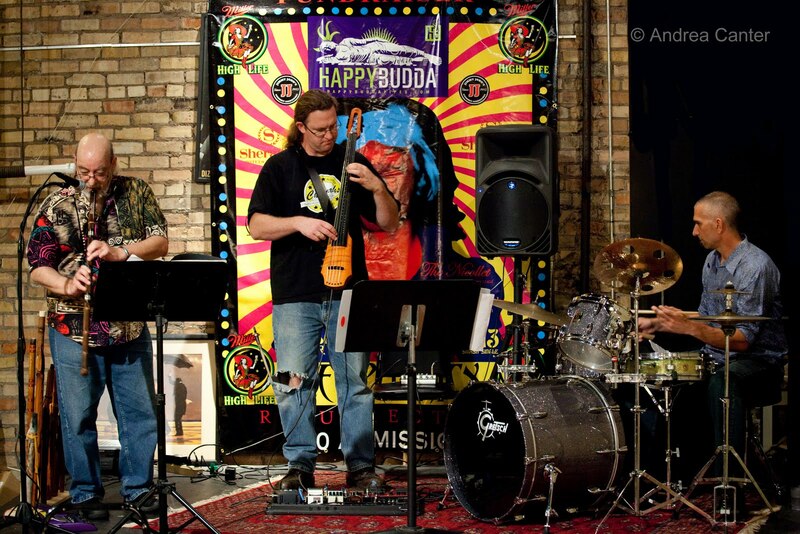 Jazz is increasingly present in the suburbs, from Wayzata (318 Café) to Stillwater (Shanghai Bistro). Attendance at gigs. Especially during the week, audiences can be painfully scant. When an artist like Joe Lovano and his Us Five band can not fill the house at the Dakota, you have to wonder…. But where is the press to help promote jazz gigs? Oh yeah, I forgot, the Strib sent a photographer down to the Artists Quarter to cover the last B-3 Organ Night! Limited venues for serious listening/playing. Despite some great spaces and attitudes, a-too high percentage of jazz musicians still play for too little money in cramped spaces with poor sound systems in rooms filled with people seeking only background music to talk over. We need more Black Dogs, more Studio Zs, small venues that are truly artist-friendly. Awareness: Apparently we don’t yet have a critical mass of jazz websites, jazz bloggers, or jazz reporters as I still hear, way too often, “Where can I go to hear some jazz?” or worse yet, “It’s too hard to find out about jazz gigs.” Of course if you are reading this, you do know how to find out. As much as we like to think the world has switched allegiance to online information, the dearth of jazz coverage in daily print media or on commercial radio continues to be one of the most serious deterrents to jazz wellness. But these downers are long-standing issues. Despite these ongoing challenges, jazz is thriving as much in the Twin Cities as anywhere else, and given the size of the metropolitan area, this may be the strongest jazz scene per capita in the country. 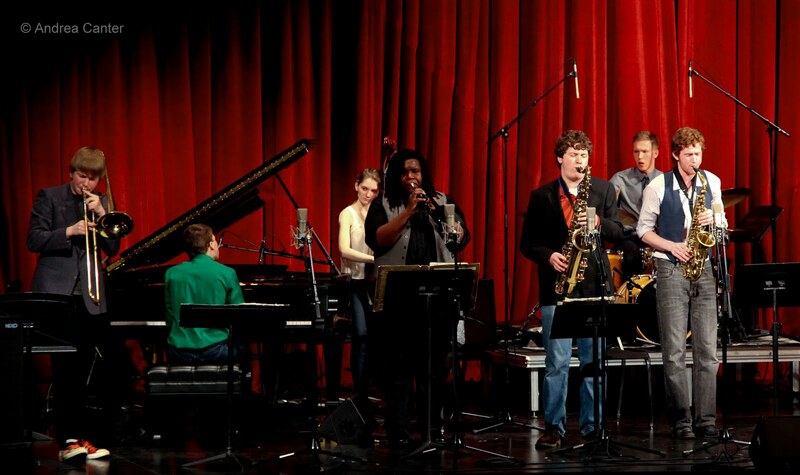 • Join the Twin Cities Jazz Society and ensure continued series of concerts, scholarships, Young Artists Series, student workshops and print and online news coverage. • Attend as many jazz gigs as you can, and make it a point to visit new venues to hear new artists and/or new music, including student performances. • Visit jazz-related websites and blogs to find out what is going on! • Tell your local newspaper that you want more coverage of jazz events! • Stop talking during the bass solo! What were the key indicators of jazz health in 2011 according to other local jazz hounds? Watch this blog for Part 2, to be posted in early next week.